In honor of school being back in session for so many kids and the rest heading back in the next week I thought I’d pick a couple of the breakfast recipes that were shared last week. Now maybe these aren’t all perfect for school mornings, but if you’re like us, the weekend is for relaxing and spending time together. Part of that is “big” breakfast on Sunday, where we make pancakes, or cinnamon rolls and the like. We often have leftovers that are perfect for reheating through the week for a quick breakfast. Like the three I have listed below. Danielle from Creatively Homespun, Audrey at That Recipe, and Ashley from Forgetful Momma are our co-hosts for August. Please make sure that you follow them in at least one way! They will be commenting on and pinning many of your posts. By linking up, you agree to let any of the hosts or co-hosts use your pictures andlinks if they decide to feature your post. Your photo may also be used for promotion on any of their social media outlets. 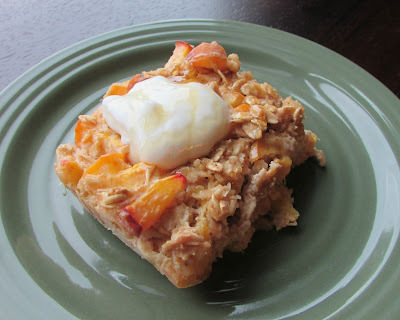 Thank you so much for featuring the peaches and cream oatmeal! We can’t stop thinking about it here either. We plan to whip up another batch for breakfast tomorrow! Have a wonderful week!